Hammering is the most widely used industrial as well as construction activity. Hammering or screws, metal sheets, parts etc requires a lot of time and effort. 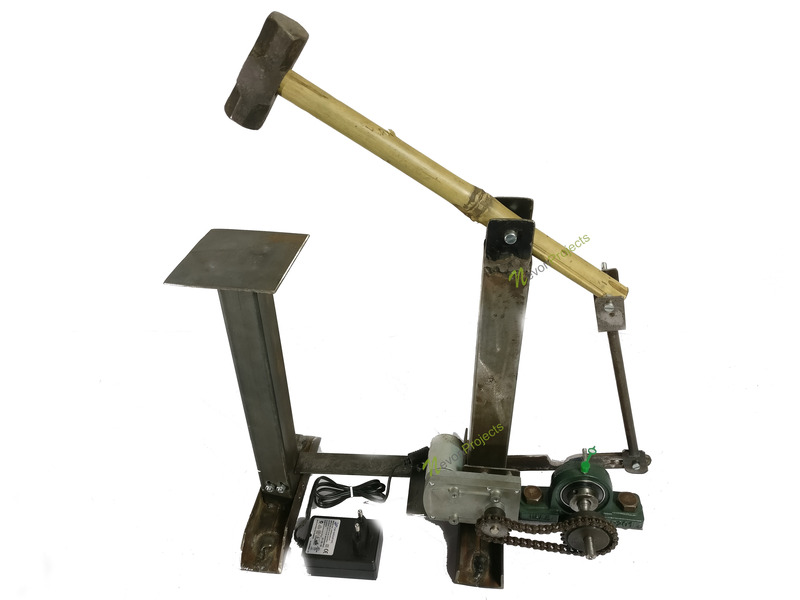 So here we propose an automated hammering system that allows for fully automatic hammering process. This allows for accurate, fast and automated hammering wherever and whenever needed using a 12V battery. The person just needs to insert workpeice and start the hammering machine. This machine can be used for automatic hammering work as and when needed. We here use a dc motor in order to move the hammer. The DC motor consists of a pulley attached to it which is connected to a larger pulley for efficient power transfer and to increase torque. This large pulley is connected to a shaft that has a connecting rod attached to it. This rod is used to achieve lateral motion from the spinning shaft. 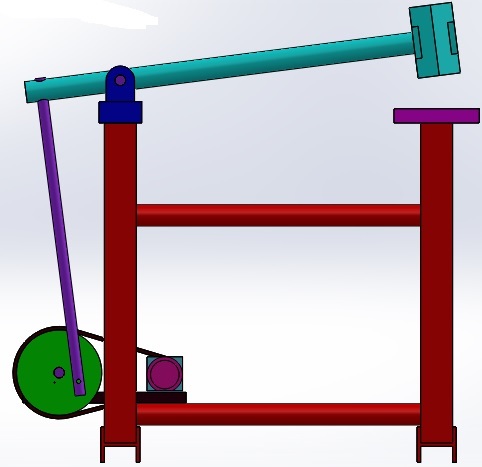 We now connect the other end of hammer to this connecting rod through a mid swinging arrangement in order to achieve desired hammer motion with enough torque. We now use a suitable bed where workpeice can be placed.